So a very nice looking Capcom Breakshot just came into my collection. It has some problems that I knew about, but only once I really started looking at it did I see some "interesting" repair work. 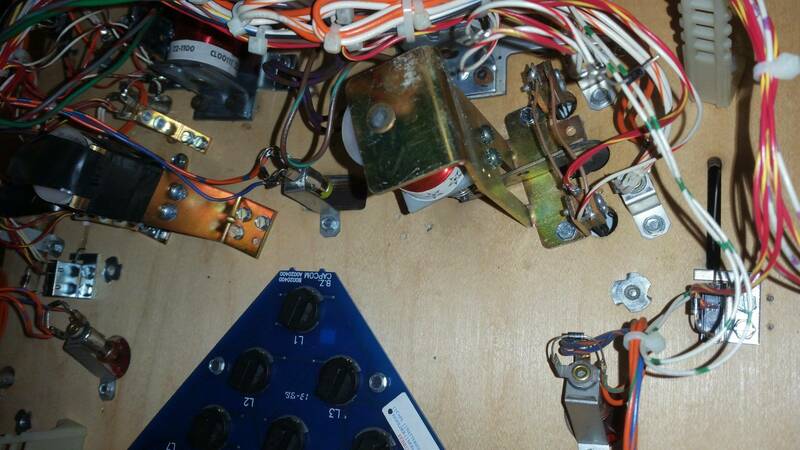 It looks like all of the flipper assemblies have been replace by some other flipper assembly, I am guessing as a way to use cheaper non-Capcom parts (I am guessing they are replacements because of all of the other random old screw holes around the brackets). They look like Williams sys 11 to me, but I don't have one of them in my collection at this time to compare, some help with ID would be appreciated. 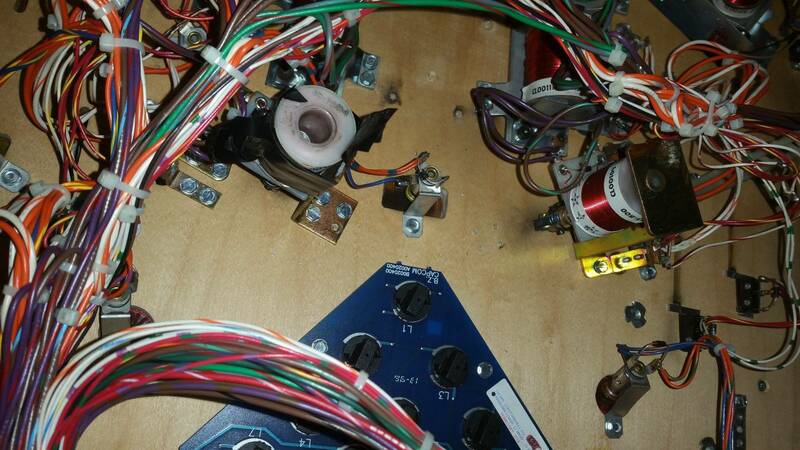 I am happy to have in the "wrong" flipper mechs as long as parts are available to rebuild them. 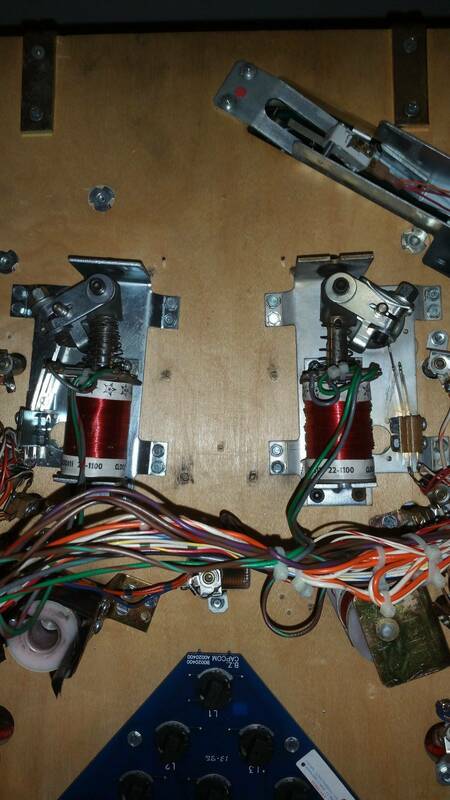 Also, it looks like the one slingshot bracket/mechanism has been replaced (lots of old screw holes in the playfield) and the other slingshot bracket has the coil stop broken off and the slingshot coil is just held onto the bracket with electrical tape. The game is currently not working, I am curious to see how bad that slingshot works with this hack of a repair. Can someone please help me ID the slingshot bracket that is not broken and/or make a suggestion of a good replacement for this broken bracket. Once again, I don't care about it being "correct", I want functional. I note that PinWiki states that "A good replacement for the Capcom slingshot bracket (MT00338) is the Data East version (515-5339-01)". Can anyone confirm this and/or give an alternate recommendation? Looks like Williams system 11 style flipper mechs (a WPC flipper assembly would be better), a modern Stern slingshot assembly, and the broken sling bracket is a Williams A-17808 "Z" bracket. Thank you for the ID help and links.